The Austin Visitor Center has relocated to 602 East 4th Street, opening its doors to a new location and larger space! 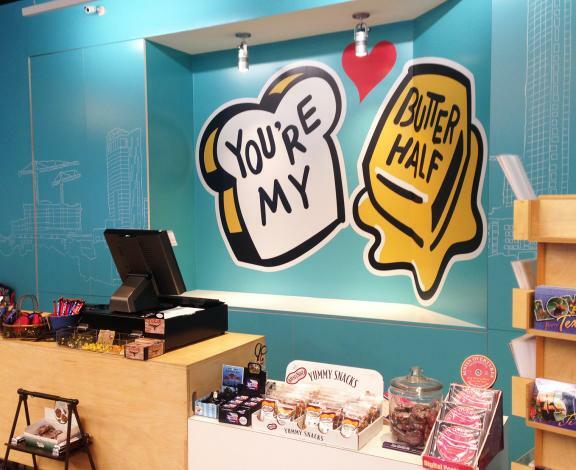 The center features a state-of-the-art media wall, free Wi-Fi and curated murals from local artists, including a replica of the My Butter Half mural created by Creative Suitcase. The original is located outside the United Way for Greater Austin building. Visitors to the center can get staff recommendations on area hotels, restaurants, tours and activities. Serving as Austin&apos;s official gift shop, visitors can also purchase Austin souvenirs, UT memorabilia, Austin music and more. Multiple tours depart from the location, including the Austin Duck Tour and Austin Overtures. 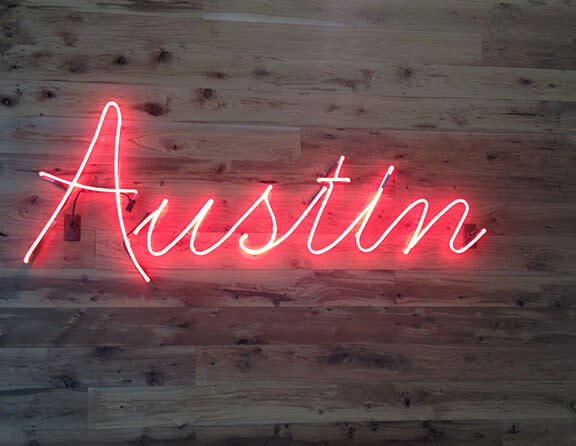 To enhance the Austin visitor experience, the center will host a variety of events including live music performances, book signings, food tastings and trunk shows. The center will also feature a concrete, iconic ATX sculpture just outside its entrance which will serve as a canvas for curated local artists to paint and modify the letters to give it evolving character. Austin Visitor Center 602 East 4th Street (Corner of 4th and Red River Streets) Austin, Texas 78701 512-478-0098 Open Monday Saturday, 9 a.m. - 6 p.m., Sunday, 10 a.m. - 5 p.m. Parking is available upstairs in the Austin Convention Center garage.